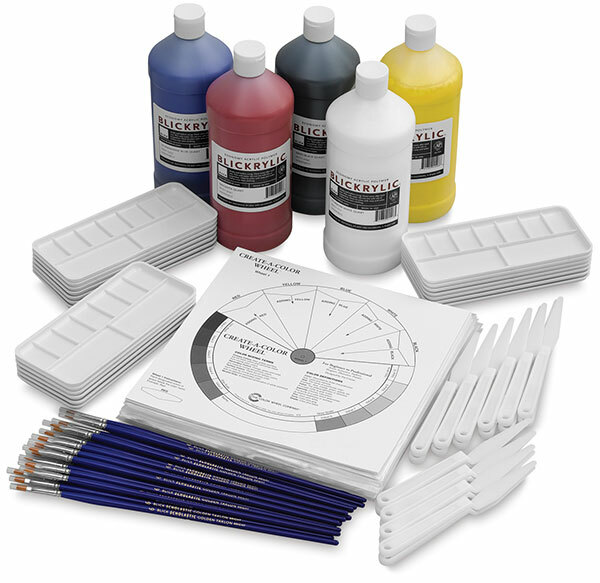 The Blickrylic Color Mixing Class Pack is a color theory class in a box! The kit includes enough materials for 20 students. Blickrylic is a true acrylic paint, priced for the budget-minded. The paint is extremely pourable and non-toxic, making it ideal for classroom settings. It dries quickly to a permanent, waterproof, semi-gloss finish. ® Blick and Blick Studio are registered trademarks.® Blickrylic is a registered trademark.